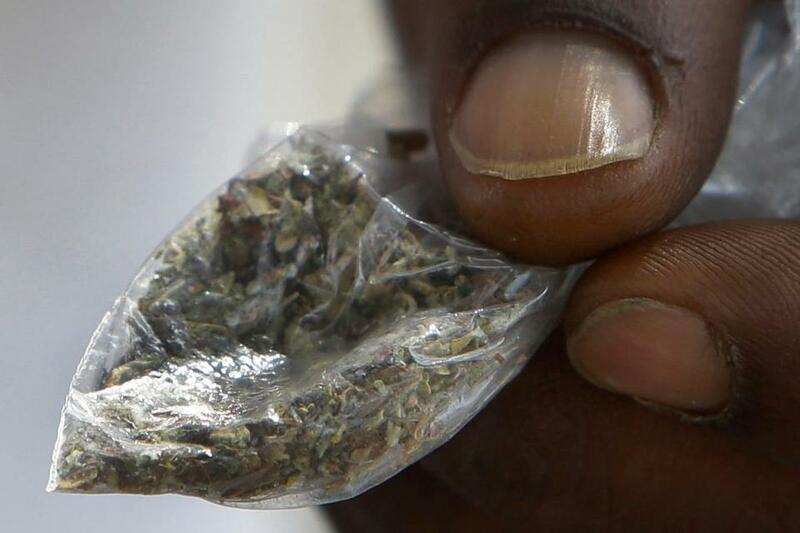 A man holds a bag of synthetic marijuana. 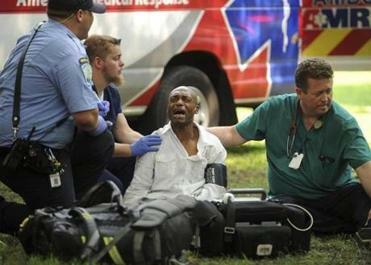 Seventy-six people have overdosed since Wednesday at or near a Connecticut park from a suspected bad batch of synthetic marijuana, the authorities said. No deaths were reported, but two people suffered life-threatening symptoms. Synthetic marijuana — also known as “K2,” “spice,” “crazy monkey,” and “Scooby snacks” — is a designer drug. It does not actually contain marijuana but is made of plants sprayed with various psychoactive chemicals, according to Boston police and the Centers for Disease Control and Prevention. The drug is most commonly smoked — more than 80 percent of people who use the substance smoke it, according to a 2015 CDC study. The drug can also be sold as liquids to be vaporized and inhaled in e-cigarettes, according to the National Institute on Drug Abuse. The number of overdose victims linked to a suspected bad batch of synthetic marijuana has risen to 76 in New Haven, as officials try to determine exactly what sickened people. In Massachusetts, synthetic marijuana is illegal. President Obama signed a bill banning some types of synthetic drugs in 2012, and all 50 states have enacted similar bans. However, many initial bans encompassed only certain compounds, meaning new compounds that achieved similar results could be formed fairly easily to skirt the law. That has prompted more legislation to address those loopholes. In 2014, Massachusetts passed a measure to ensure a substance is still classified as illegal even if its chemical components are changed slightly. Prior to the legislation, only federal agents could enforce the law. Now, local police and State Police can enforce it, and offenders can get a fine or jail time. The effects of synthetic marijuana vary, but a typical high consists of elevated mood, relaxation, altered perception, and symptoms of psychosis, delusions, or disordered thinking, according to the National Institute on Drug Abuse. It can also cause extreme anxiety, confusion, paranoia, and hallucinations. Researchers also say some types of synthetic cannabis bind more strongly than marijuana to the cell receptors affected by THC and may produce much stronger effects. In one well-cited local case, NFL linebacker Chandler Jones, when he was a member of the New England Patriots, had a bad reaction to synthetic marijuana in January 2016, prompting him to be admitted to Norwood Hospital. According to the state, teens and young adults in particular have showed up at area hospitals while on the drug. Symptoms can include impaired perception, a racing heart, vomiting, reduced motor control, disorientation, extreme paranoia, violent behavior, and psychosis. The long-term physical and psychological effects of using these drugs are not yet known. Dr. Christopher Rosenbaum, director of toxicology at Newton-Wellesley Hospital, previously told the Globe that people who have smoked the substance have suffered from agitation, nausea, and vomiting. There have been some reports of seizures. “People are smoking substances without knowing what’s in them,” said Rosenbaum, who has studied synthetic pot. Material from the Associated Press was used in this report. Jaclyn Reiss can be reached at jaclyn.reiss@globe.com. Follow her on Twitter @JaclynReiss.